Announced for May! Image and description are provisional and subject to change prior to release. Hmm. Am I missing it somewhere? I can't see if it's included with one of the subscriptions (I presume so, but just to be doubly sure). So "Dragon's Demand" is the new Core Card Set. Nice to see that Mike Selinker gets his due & that "Fumbus the iconic Goblin Alchemist" from the Pathfinder Playtest is included. The new box tops not only say "A game by Mike Selinker" but the names of all the designers of that set as well. In this case, I'm joined by Chad Brown, Keith Richmond, Liz Spain, and Aviva Schecterson. How does this interact with older products? For example if I found a random prior adventure path deck, say Runelords part 3. Would I be able to use that with the Core set or would I still need to track down the original ROTR boxed set as well? That's an interesting question. The new rules and characters and such all work with Rise of the Runelords, but we always assumed that anyone who wanted to do that would have the Runelords base set. In theory it should work just fine to just play Hook Mountain Massacre (Runelords 3) with the new set, but if you, say, played Herald of the Ivory Labyrinth (Wrath of the Righteous 5), you'd probably be advised to get the base set for its mythic paths and charge tokens. Will there be a character deck expansion so you can play Dragon's Demand with 6 players? Hey VitaminP3, Unfortunately we do not have any plans currently to publish a character expansion deck for the Dragon's Demand adventure in the ACG Core Set. You might need some of the B or 1 level locations from Rise of the Runelords too. I see that it says you can control the difficutly and speed of play. I would like to know more about this concept. I know my gaming group didn't like the difficulty of Wrath. In fact we gave up on it. We loved Rise though. If available, would someone kindly let me know where more details on how we can control the difficulty is executed? I just learned about the new PACG coming this past Sunday. Thank you for the link. I did a playtest of the new rules at Paizocon last year and really enjoyed it. I'm definitely looking forward to the finished, polished version. During the playtest and during the banquet, it was announced that the new edition would release at PaizoCon this year. The date posted with the preorder link has an earlier date. Will we receive it before Paizocon if we preorder? How many scenarios will be in this core set ? "This set includes the storybook and cards for the Curse of the Crimson Throne Adventure Path. 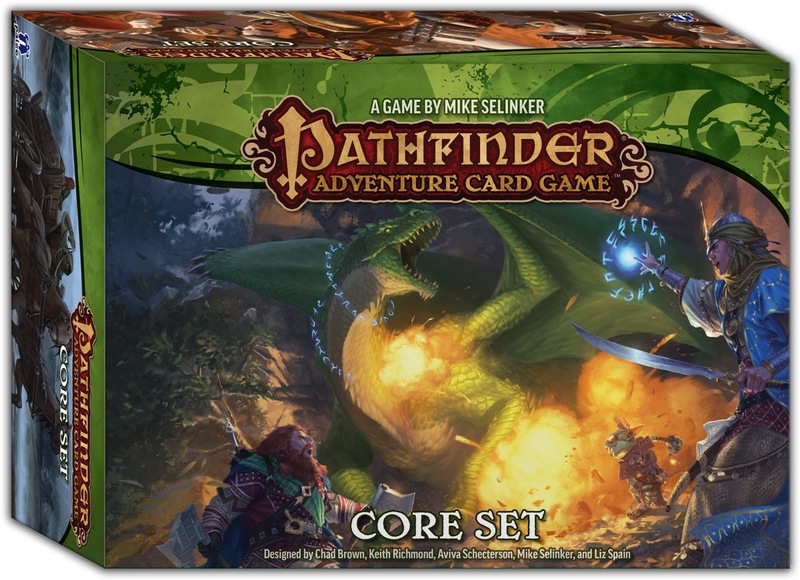 It requires the Pathfinder Adventure Card Game Core Set and expands the maximum number of players to 6 for that set. "